The Tibetan saga of King Gesar of Ling comprises some 120 epics; individuals have been documented performing as many as 40 of these, and some claim that they are able to perform all of them. While most performers study and learn in the usual oral fashion, those known as ’babs-sgrung seem to have acquired the ability to reproduce them without effort: Often after a mysterious dream, they discover that they suddenly have the power to recite whole epics at will. This according to “Bab sgrung: Tibetan epic singers” by Zhambei Gyaltsho (Oral tradition XVI/1  pp. 280-293). 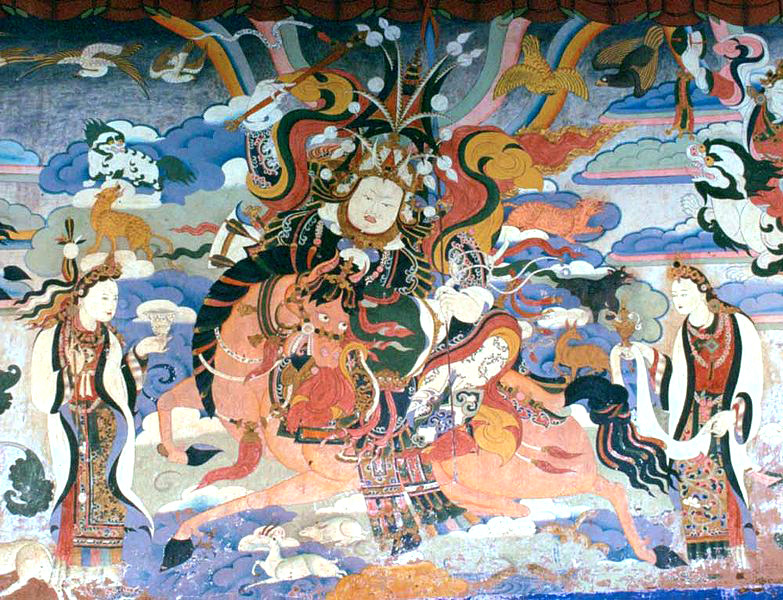 Above, a mural depicting King Gesar; below, a brief documentary on one of the genre’s practitioners.